Your representative on Monmouthshire County Council. 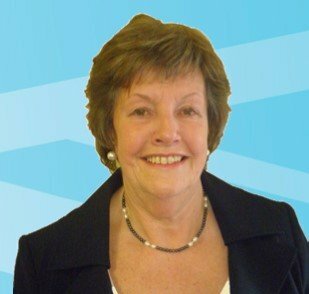 I am Ann Webb, your elected representative on Monmouthshire County Council. As the Member representing Tintern and St Arvans on Monmouthshire County Council, which provides all local services, my wish is to represent your views and assist wherever possible. I have been the Member for this Ward since 2004 and it is an honour to represent this beautiful area. I continue to liaise closely with the Community Council and will continue to support the various activities in the villages. The amount of work undertaken by volunteers of all ages never ceases to amaze me as without them so many interest groups would not exist. As well as sitting on the Licensing Committee and the Planning Committee, I represent the County on the Lower Wye Internal Drainage Board, the Rural Development Commission, and the Wye Navigation Advisory Committee. I am also appointed to the Board of Monmouthshire Housing and a Member on the Brecon Beacons National Park Authority. I sit on the Strong Communities Select Committee and other County Council Committees relevant to this rural area. We have now opened our new County Hall at Rhaydyr Usk (NP15 1GA). I am delighted that we now have a County Hall in the County of Monmouthshire. If you would like to be shown around please get in touch. Ann Webb, Home Farm, NP16 6QW.